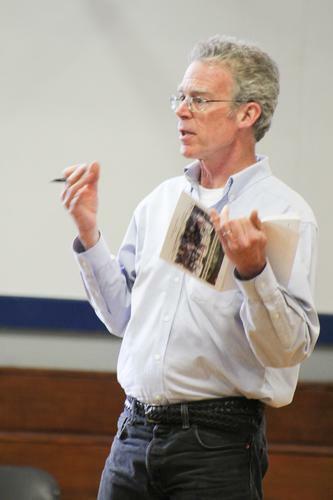 Voters approved over $9.35 million in municipal and school funding requests, approved hiring a town administrator and elected Jim Dow as selectman at the annual Blue Hill town meeting April 5-6. 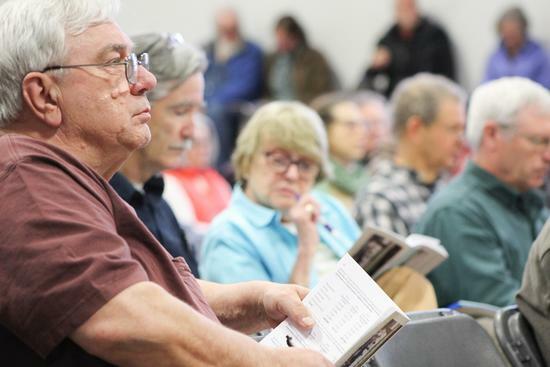 Tim Horton and about 125 citizens attend Blue Hill town meeting April 6 at Blue Hill Consolidated School. 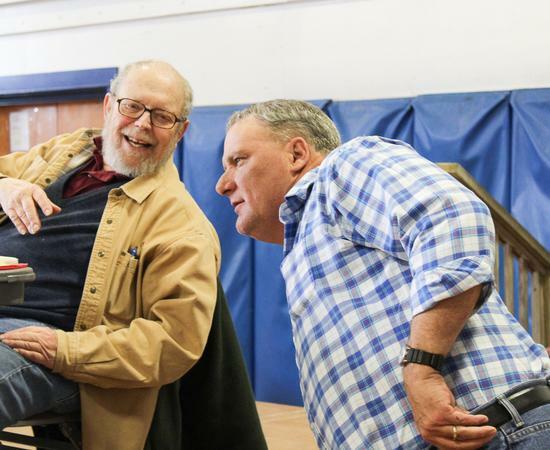 Retiring Selectman Jim Schatz, left, and Road Commissioner Bill Cousins chat during ballot voting at Blue Hill town meeting April 6 at Blue Hill Consolidated School. 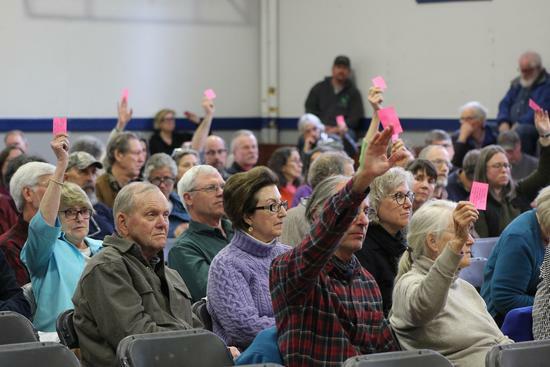 Voters raise their chits to decide on funding broadband expansion on Pleasant Street, at Blue Hill town meeting April 6 at Blue Hill Consolidated School. Budget Committee Chairman Clifton Page asks voters to review granting part-time town employee health insurance.